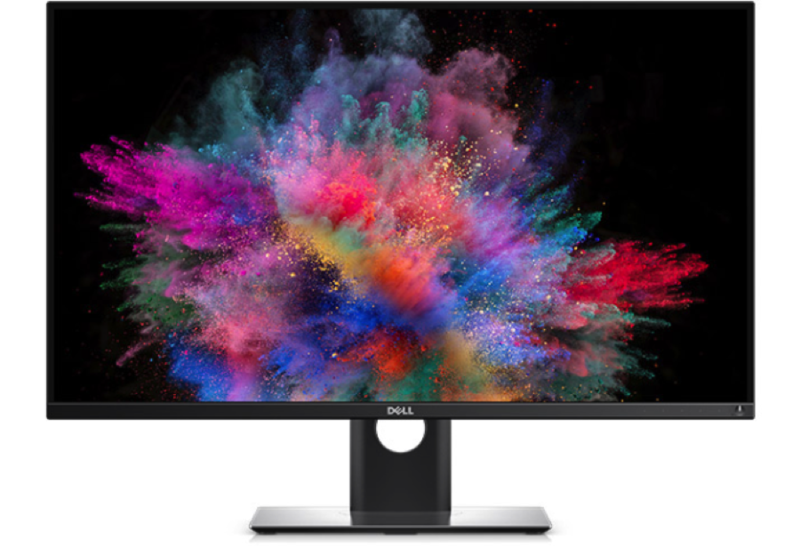 Dell announced a 30” 3840x2160 OLED monitor at CES 2016, and now its ready to release it. The asking price was to be US$4999 and now its set to sell for US$3499 within the next month. The Dell UltraSharp UP3017Q is a 30-inch display with a 3840×2160 resolution, response time of 0.1ms, and is set to run at 60 Hz (not 120 Hz as some outlets originally reported). 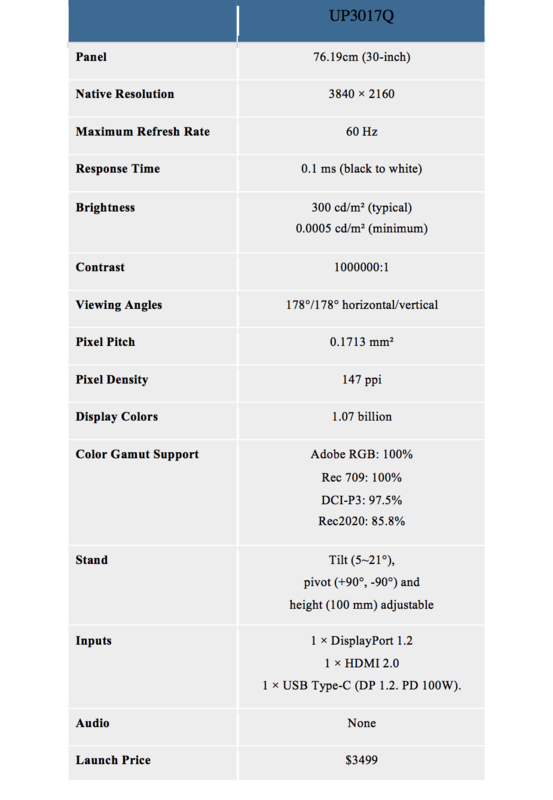 The monitor can reproduce 1.07 billion colors (10-bit), it covers 100% of Adobe RGB color space as well as and 97.8% of DCI-P3 color space (used for digital movie projection by the U.S. movie industry and is expected to be adopted in televisions and in home cinema), and 85.8% of Rec 2020. The manufacturer declares a 1,000,000:1 dynamic contrast ratio, due to the characteristic black of OLED displays.